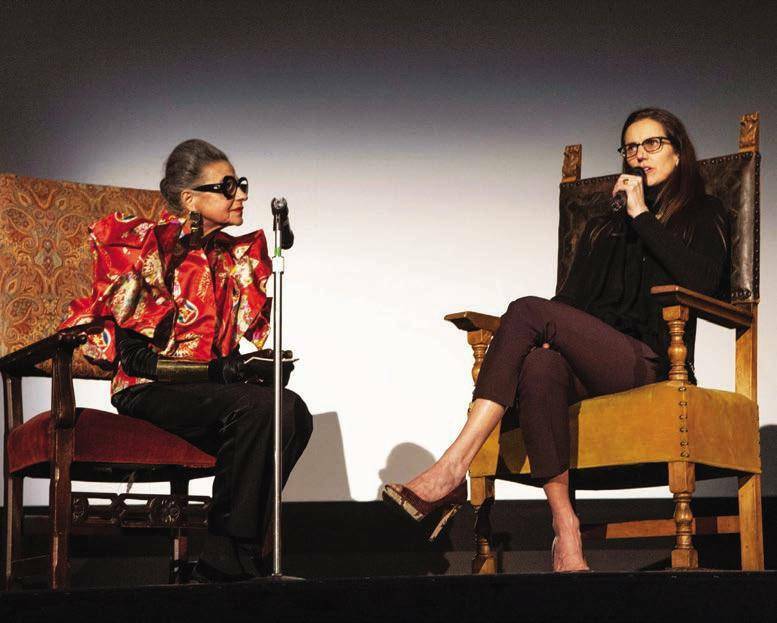 A special screening of the film Diana Vreeland: The Eye Has To Travel was held at the Castro Theater, followed by a Q&A with Fashion Icon Joy Venturini Bianchi. The theatre rolled out the red carpet – a fitting tribute – to Diana Vreeland, the ”Empress of Fashion.” She enjoyed a 50-year reign in the industry that included a 25-year career as Fashion Editor of Harper’s Bazaar, Editor In Chief at Vogue and her final act at the Costume Institute of the Metropolitan Museum of Art. The screening, hosted by Mark Rhoades and sponsored by Banana Republic, brought style aficionados who donned red attire in honor of Vreeland’s favorite color.